When Winter hits you want to be 100% ready to combat all skin related issues that come with it. Don’t you worry I have you covered from head to toe. Dry parched skin and chapped hands are no fun so I have put together a list of the best moisturizers this Winter that will keep your skin like butter all Winter long. 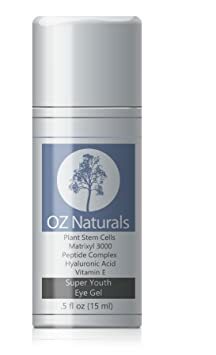 Oz Naturals – The BEST Eye Gel with well over 3,000 reviews on Amazon with a 4 star rating it’s no wonder this stuff is so high on my list. I call it the miracle gel just for the simple fact that it combats dark circles, wrinkles, and puffiness! I’m not really sure what else is needed for the eye area besides moisture and there are some amazing ingredients here that do just that. Aloe vera, jojoba oil, and glycerin are some of the ingredients.Did I mention it is safe for all skin types, is non-comedogenic and doesn’t contain sulfates, parabens, or alcohol? The gel feels lightweight upon application then sinks right in and I can actually put makeup on over it. I am amazed at what this has done for my eyes and truly believe it is the plant stem cells. The product itself is 100% natural and 75% organic so you are really nourishing your skin. Hands down the best conditioner for your dry brittle hair. 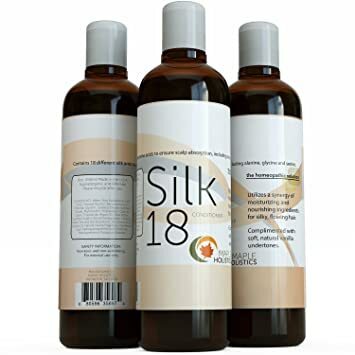 The Silk18 conditioner has the most impressive list of amino acids L-Alanine, Glycine, and the list goes on. If you are looking for serious frizz control then you have found your match. I use this as my everyday conditioner and vary my shampoo. It has done wonders for my long, coarse, thick and frizzy hair. I normally blow dry my hair straight and this cut out at least 5 extra minutes of the frizz relaxing portion. The 100% natural vanilla scent is also a big plus because who doesn’t love a great smelling conditioner. Since conditioner is the last thing on your hair in the shower the conditioner smell lingers and I can smell it throughout the day. My hair feels silky and more manageable than ever. Again I would not be raving about this product if there weren’t others with me including over 2,000 reviews with an average of 4.5 stars on Amazon you can’t go wrong. I always tend to switch gears when it comes to my Winter body moisturizer. My skin is just always more dry in the Winter so the usual Summertime lightweight lotion just doesn’t cut it for me. I have probably tried every drugstore brand body lotion and I was just not getting the satisfaction of supple skin. I ran across this Hempz body lotion at a beauty salon one day and only used it on my hands because you just grab a little and go. Well to my surprise my hands stayed soft and moisturized until the next almost 24 hours later. I immediately went back and paid the regular price for a bottle because that is what you do when you want something right away. This body lotion is sure to keep the Winter blues away and get you through probably the end of Spring. My favorite facial moisturizer is Sisley’s Hydra-Global moisturizer which is intense hydration. I put two pumps of this on every single night before bedtime and wake up with my face as soft as a baby’s bottom. I tried to switch to other really hydrating creams but there was just no comparison. The brand Sisley can be quite expensive but it is so well worth the money. I have had people ask what I have done differently in my skin care regimen when I use this. This cream is plant based and provides much needed moisture during the Winter months. When I truly believe in a product I will promote it and be able to explain all the reasons why. This is one product I will promote forever unless the formula changes or maybe I do find another product.